On November 8th, 2016, Prime Minister Modi announced the demonetization of the 500₹ and 1000₹ notes effective immediately and new 500₹ and 2000₹ notes to be circulated in the market over the next few months. While the verdict on the decision is still up for debate, this decision has given opportunity for many companies in the financial technology sector or like they would call it the FinTech industry to finally be able to spread their wings and grow; as people are starting to shift to using mobile payments, online transactions, and eMoney. All of this might seem really alien to you if you were still dealing with cash on a daily basis, stuck to your debit/credit card for other expenditures and managing your investments manually. FinTech is easy to get wrapped up in. It has been an exciting field that’s taking power away from traditional, bloated banks and giving the industry a much-needed facelift. 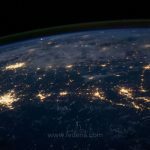 It’s helping the “underbanked” (as any FinTech evangelist will tell you over and over again), and many popular FinTech technologies are becoming integrated into everyday life, PayTM for example, has been one of the forerunners for a while now. But what’s with all the lingo and jargons? Despite the excitement, understanding exactly what’s happening in the field can be really difficult for the uninitiated. The list of terms includes banking terms, tech lingo, and pure FinTech jargon. Financial Technology, an industry known for creating and mastering software and technology in the financial sector. They’re also popular for challenging traditional banking and other incumbent institutions. Know Your Customer also revolves around authenticating users. Requirements of thorough identification checks and due diligence information seem to have grown more powerful in recent years to fight fraud by requiring users to prove their integrity. You might have noticed this recently while upgrading your PayTM account or while exchanging your old notes for new at the bank. An economic model based on the sharing, swapping, and renting of services and goods. The “Sharing Economy” or “Collaborative Economy” can be seen in many platforms, for example, Airbnb or Kickstarter and is growing in FinTech solutions via solutions like peer-to-peer lending. This represents the global standard for credit and debit cards. The title is taken from its original developers, Europay, MasterCard, and Visa. Many cards already feature the EMV chip designed to fight card fraud, theft, and secure every mode of payment. The process of encoding messages. Encryption is probably the most essential to FinTech, the blockchain, cryptocurrency and anything else that needs to be secure. Data, like names, numbers, and account numbers is turned into a code using algorithms (mathematical formulas). A key is required to turn that code back into useful data, which is generally kept only with the banks or the FinTech company. Single Sign-On authentication saves users from the barrage of IDs and passwords by allowing one set of login credentials to sign in for multiple applications. For example, in Fedena you can set up login through Gmail ids using the Google APIs helping students, teachers, and parents to login with just one click. Application Programming Interface (API) represents the functionalities of a certain application. These are important because they enable other programmers to use components of existing software, allowing for faster and more reliable software development—a major component of the FinTech and any technology. Fedena too comes with APIs to help integrate Fedena with other applications. People who don’t have access to proper banking or services offered by retail banks. They might have a banking account but rely largely on spending physical currency. The ability to serve the underbanked is considered one of the most important facets of FinTech. Read More: Can technological reform in education improve our job prospects? A digital currency using cryptography for regulation and security. It’s a decentralized system, meaning no central entity exists to oversee the processes. Instead, it uses a blockchain. There are several different kinds of cryptocurrency, including Bitcoin, Ripple, and Ethereum. An online wallet is what is replacing bank accounts at a rapid pace. Companies like Google, Paypal, and others are already in this sector, helping you pay most of your bills through online wallets and storing your money for you at minimal to no cost. 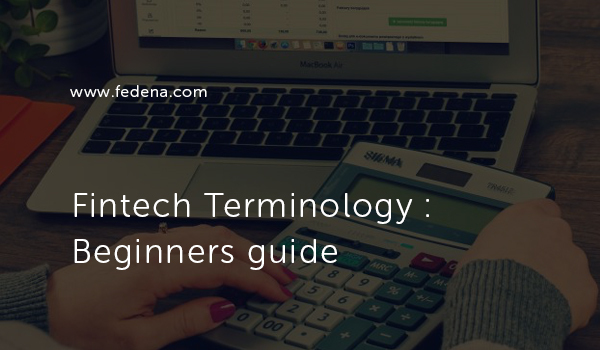 There are far more terms and jargons in the FinTech industry which we haven’t delved into but this should help you get started and familiar with the landscape. For all of our customers as well as schools and institutions trying to figure out a way to incorporate online payments, Fedena can easily be integrated with all the online payment portals in the market, making us one of the top educational ERPs in the market. 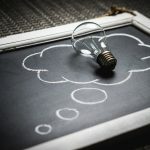 How Can Blockchain Technology Be Used in Schools?